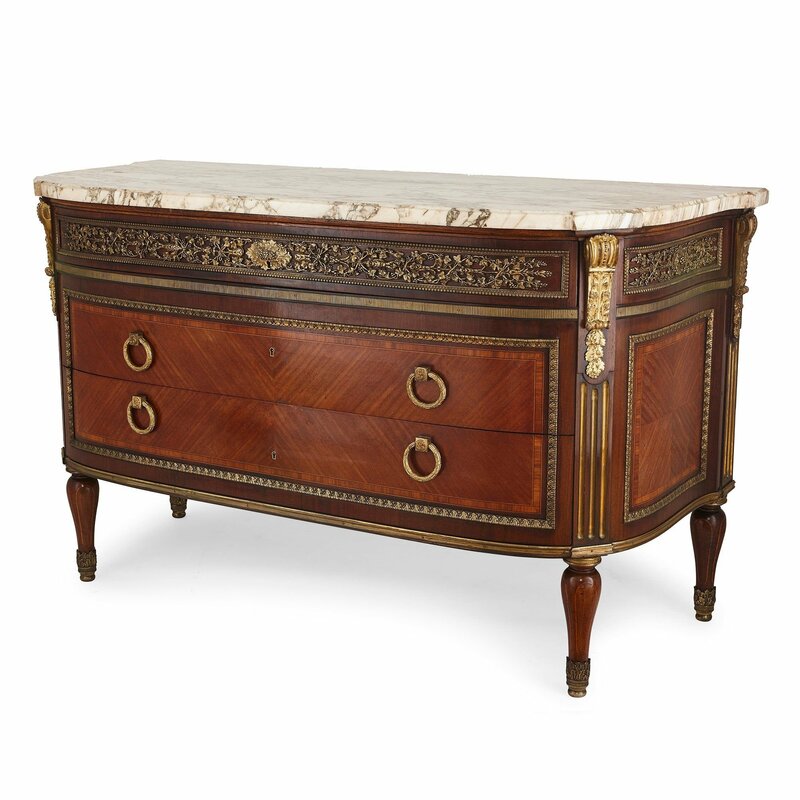 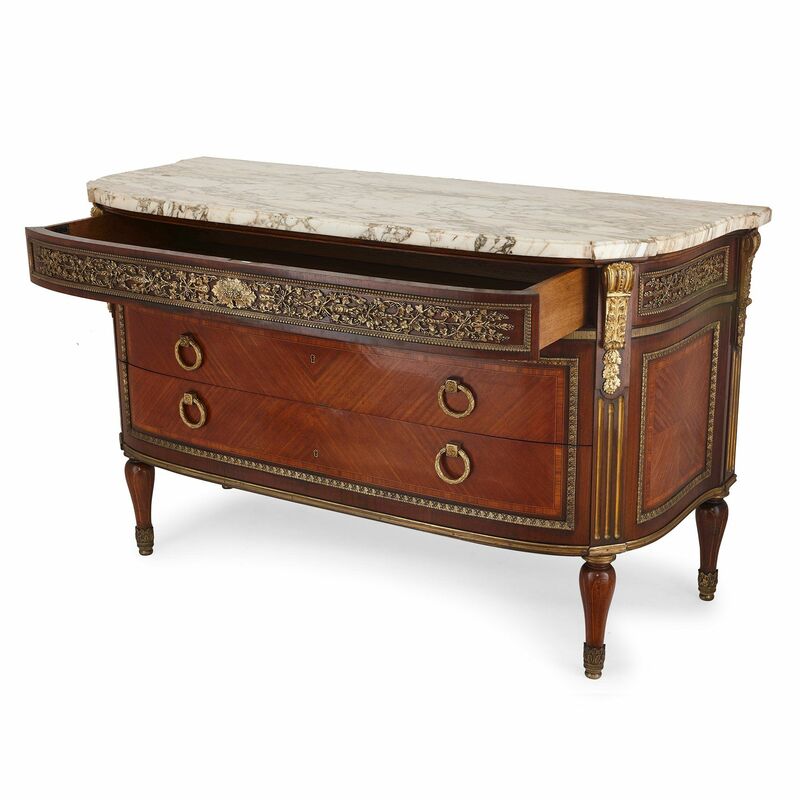 This elegant Louis XVI style commode is crafted from rich mahogany, satinwood and marble, based on the design by famous French maker Jean-Francois Leleu. 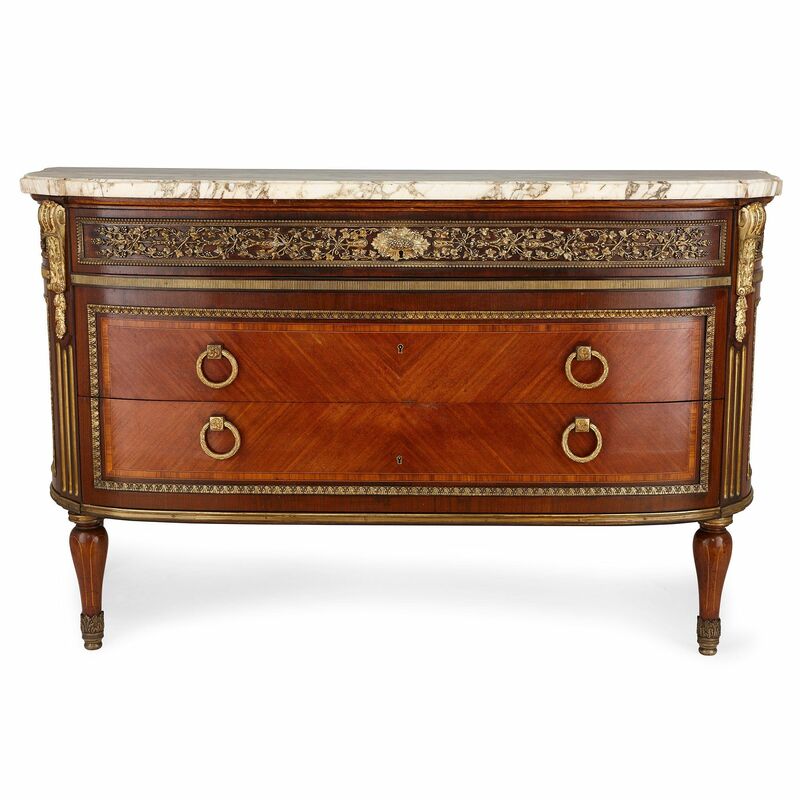 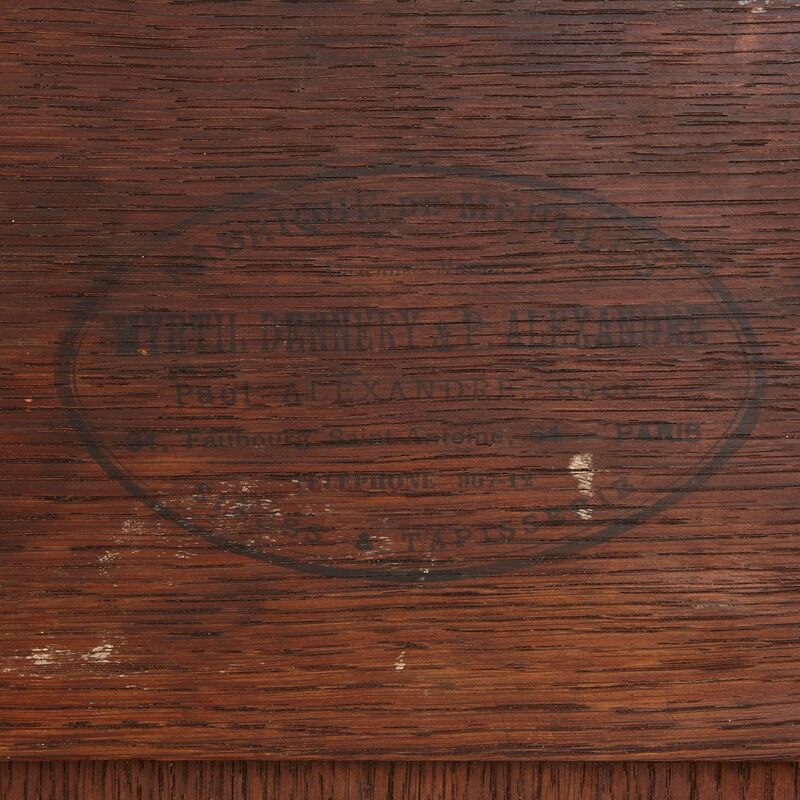 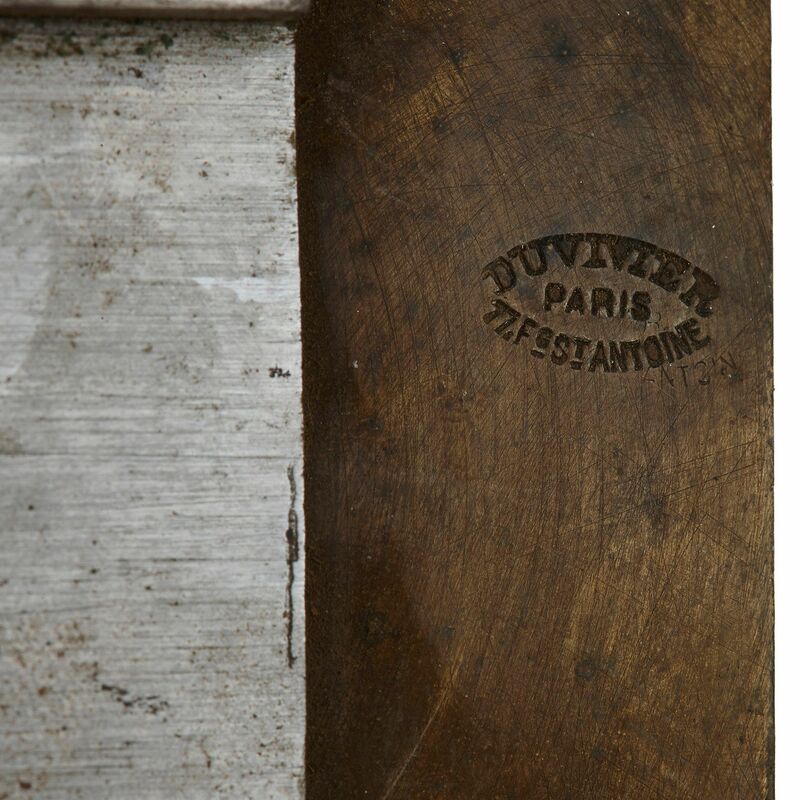 The commode was built by early 20th Century French designers Myrtil Dennery and Paul Alexandre, after the model by celebrated 18th Century French designer Jean-Francois Leleu. 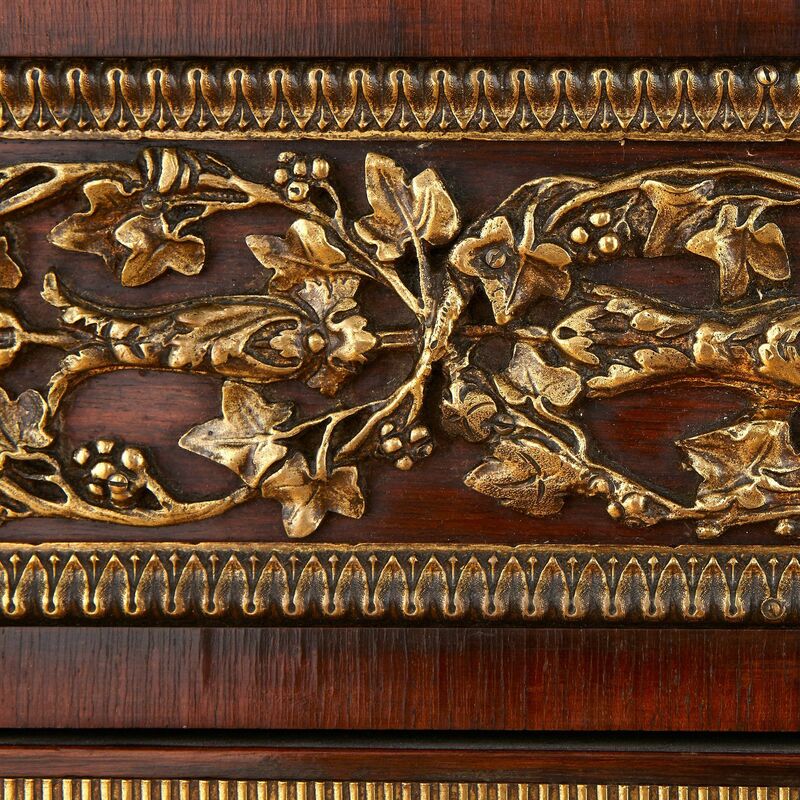 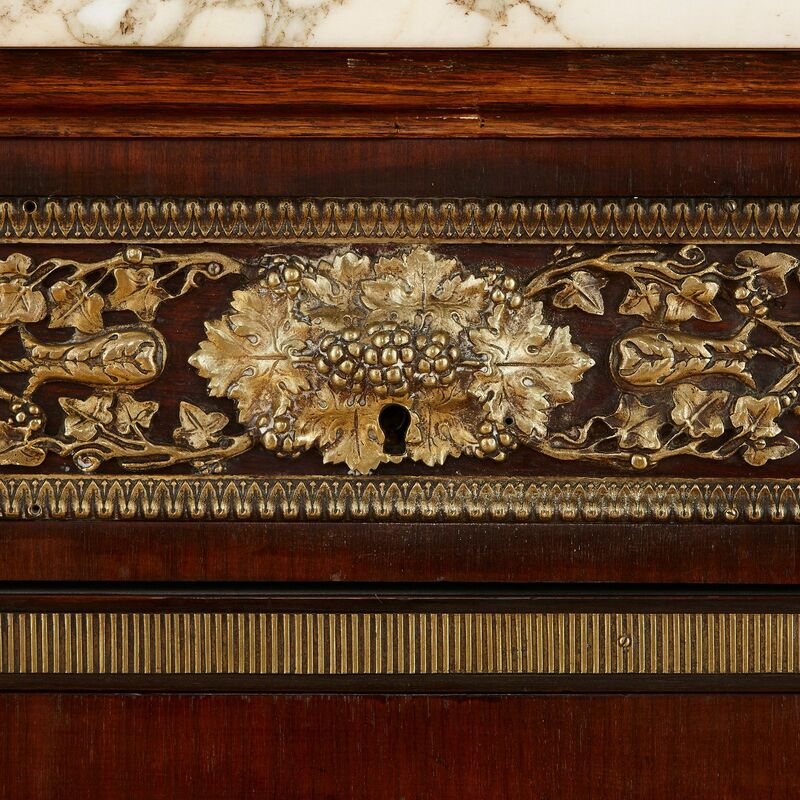 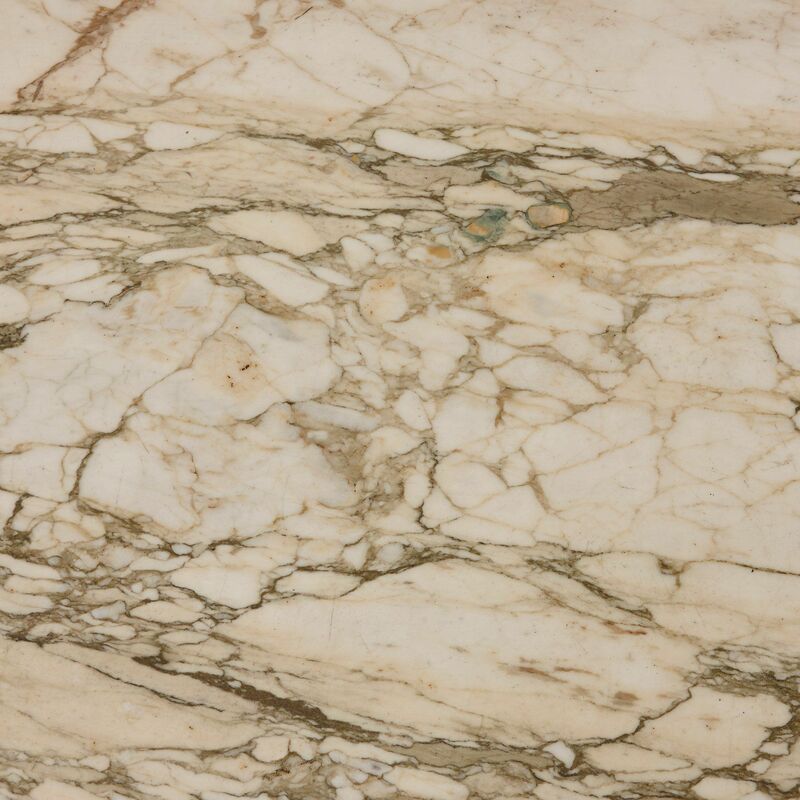 It is of rectangular shape and has a veined white marble top sitting above a low drawer heavily mounted with florally decorated ormolu. 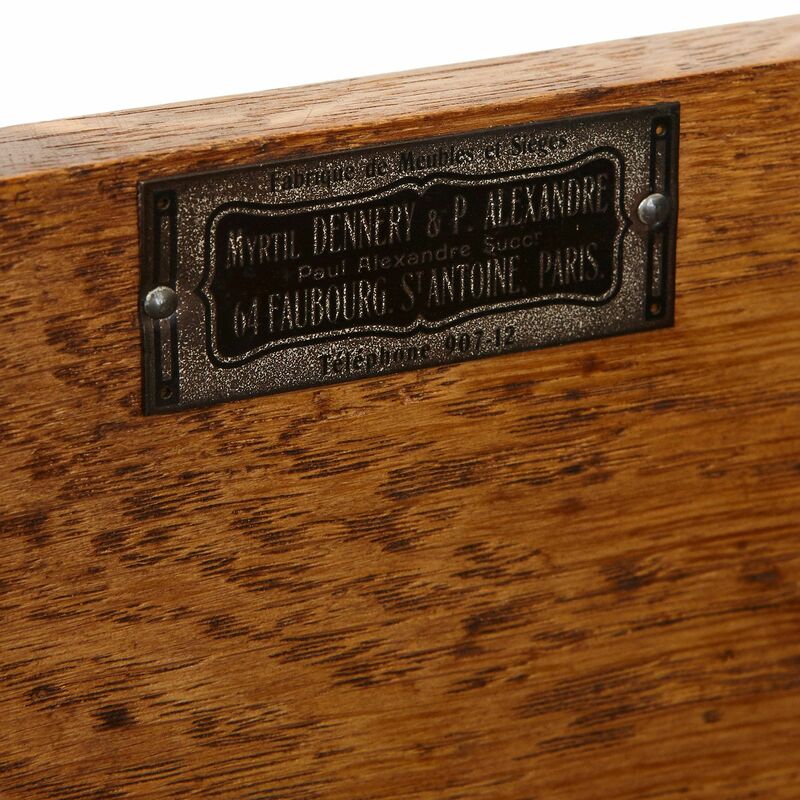 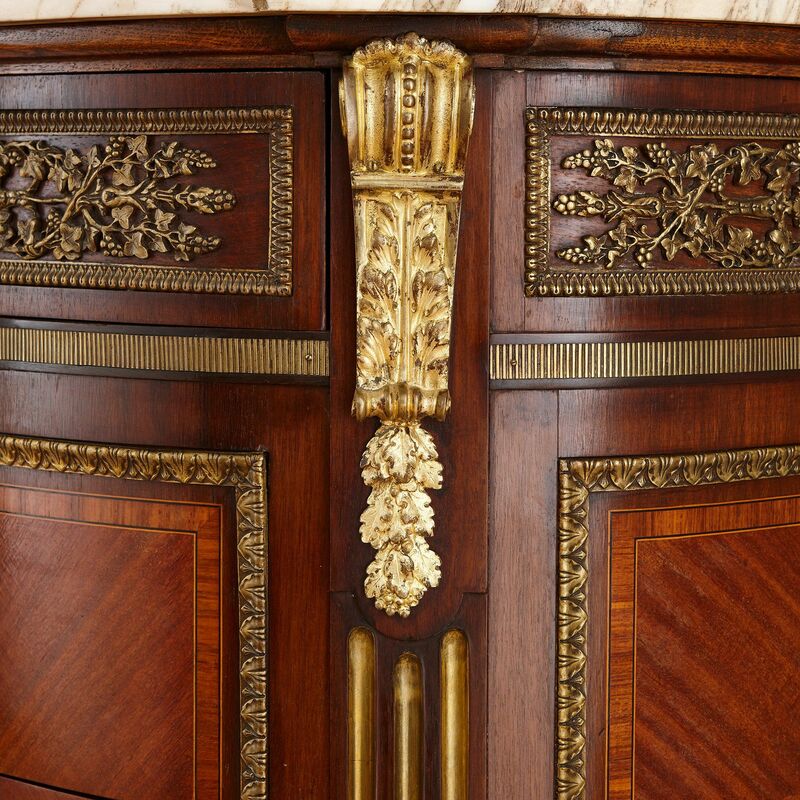 Each of the raised four corners features fluting and is mounted with ormolu acanthus leaf decoration. 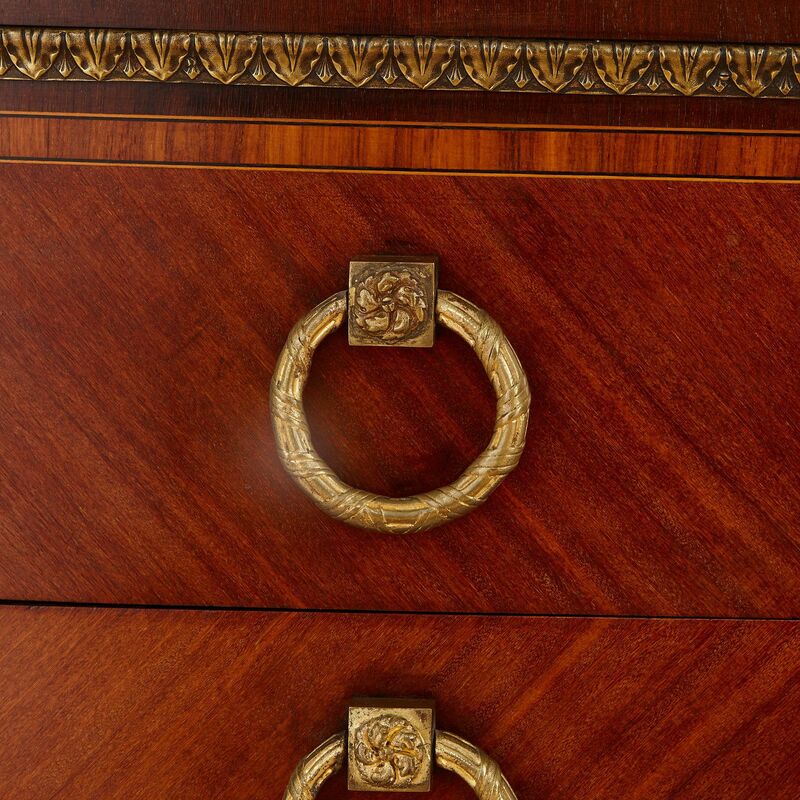 There are two further larger drawers below with circular ormolu handles, and the whole commode stands on four legs with ormolu feet.